The New Year is finally upon us and it is now time to make sure that everything in your business is as it should be for 2012. It can be quite therapeutic to start a New Year by clearing out all of the old and allowing new and exciting things into your work place. Here at DataSpace UK we believe that one of the best ways to start the New Year is by ensuring your business and the work you do is safeguarded. What we mean by this is online data back-up. At DataSpace UK we understand just how important your data is to your business. Because of this we offer an online data back-up service to support you. Let’s face it, your business would not function without your emails, documents, data and all of the other things that make up your day-to-day work. If you were to lose it you may find yourself in a very difficult situation. But that doesn’t have to be the case with DataSpace UK. 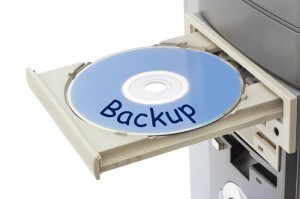 We have three different types of back-up services depending on the level of use you require. Perhaps you just want some peace of mind for all of the data and files you have on your home PC, mac or laptop? If that is the case then DataSpace UK back-up PC edition is ideal. In just a few clicks of your mouse your data is transferred to a highly secure off-site data centre. DataSpace UK have a back-up service for larger networked areas. This is perfect if you are running a small to medium sized business and it even enables remote workers to back up their work. This back-up service works on different platforms also from Generic to Novell and IBM to Macintosh. This is similar to the back-up professional edition but it can be used for far larger organisations that have multiple sites and large mainframe networks. Data restoration is at LAN speeds and a disaster recovery plan is in place should you need it. So make 2012 the year of peace of mind, for you and your business. For all your back-up needs just contact us at DataSpace UK. Your data and business should be protected. The choice is not whether you should have a back-up service but which back-up service you should have. You can call us on 0800 028 8956 to find out more. You can also keep an eye on us on Facebook and Twitter.